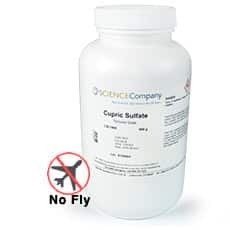 Cupric Sulfate AKA Copper Sulfate, Crystal, 500g for sale. Buy from The Science Company. Cupric sulfate (copper sulfate) in the form of blue, medium sized crystals. When burned, cupric sulfate produces a green flame color. 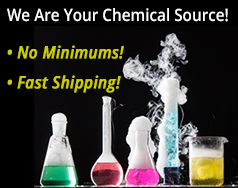 Soluble in water and methanol; slightly soluble in ethyl alcohol and glycerin. Cupric sulfate readily forms blue, triclinic crystals. Read our article, "Growing Large Crystals with Seed Crystals" for more information. 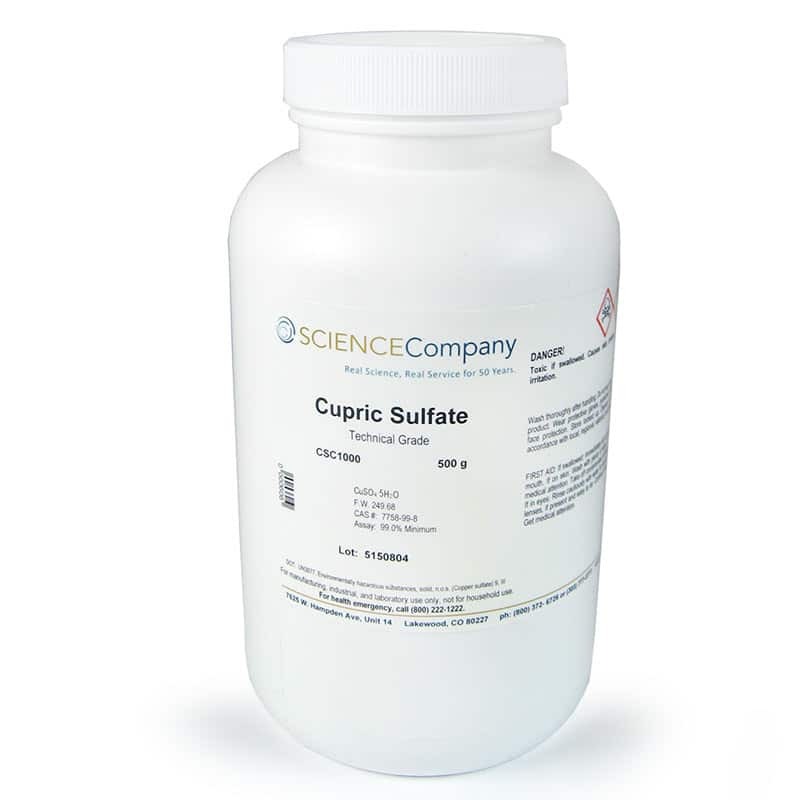 Cupric Sulfate only ships to destinations within the 48 contiguous US states and Canada using Standard Ground. No air deliveries allowed.